Chrome plated brass tap. Operating pressure 0.5 bar for best performance. Includes click waste and flexi tails connectors. Barra Basin Mixer Tap is rated 4.5 out of 5 by 24. Rated 5 out of 5 by Bluemanc13 from Smooth operator Bought this to replace a stupid waterfall tap that was coming apart in our new place good value easy to fit and a click waste aswell what's not to like. Only been on a week so time will tell. 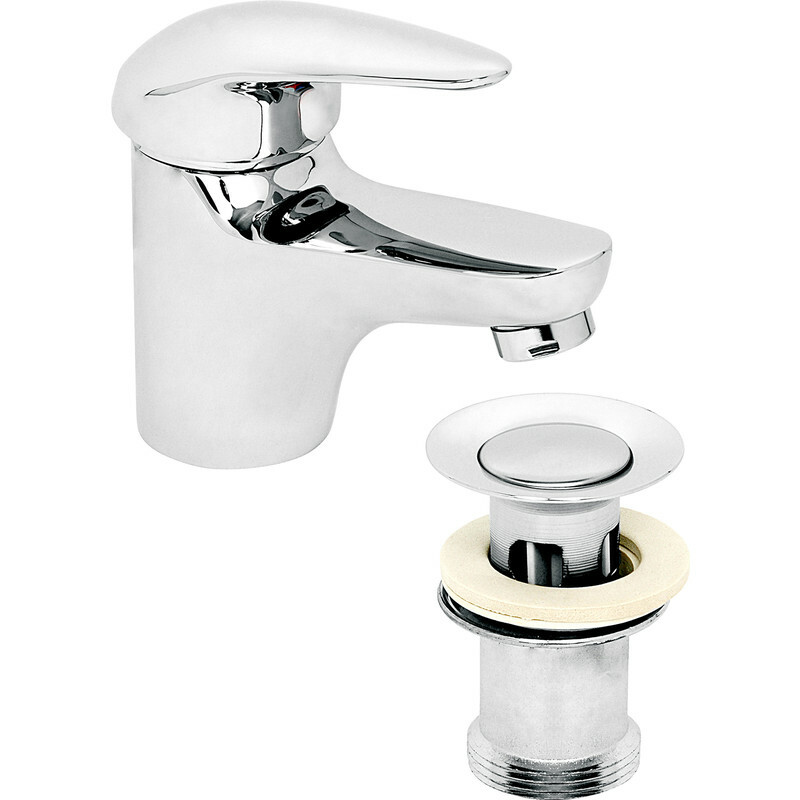 Rated 5 out of 5 by Sid0132 from Looks nice and solid tap I bought this for my new bathroom sink and it looks good and feels solid with all the fittings. Rated 1 out of 5 by Sid9 from Basin Mixer Tap Looks good and of reasonable quality, fitted two, both the necks of the taps are minutely too small for the holes in 2 types of basins, and does not fit properly, had to buy an extra collar/ washer, which does not look good, and the waste pipes kept leaking ended up buying solvent cement to stop the leaks, shame otherwise would have looked good. Rated 5 out of 5 by Dogchops60 from Good quality item Excellent tap for the price, clicker waste even has a brass backnut. Have fitted a number of these now, customers love them. Rated 5 out of 5 by Fishster from Top Quality Product. i bought this product because the price was reasonable and the reviews were mostly positive. I found it very straightforward to fit and it operates excellently. I would recommend this tap to anybody. Rated 2 out of 5 by CC MAINTENANCE from Tap good waste leaks Good tap, havent managed to stop the waste leaking yet.